In comparison to the previous day, stage 18 is a much more traditional affair. The route takes in 178 kilometers of almost totally flat roads through the Adour region and the gentle undulations of the Chalosse. 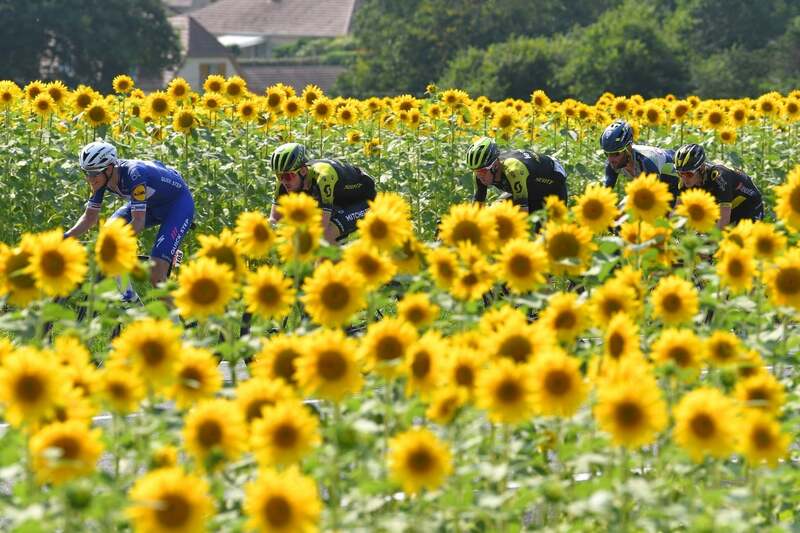 The beautiful countryside will likely bring about a sprint finish, however, it could also be a good opportunity to see a breakaway group take center stage. After three weeks of racing, will the sprinters’ teams have enough riders to lock down the race, especially with only as many as eight riders? There’s a possibility the Tour won’t be as tightly controlled as in year’s past. 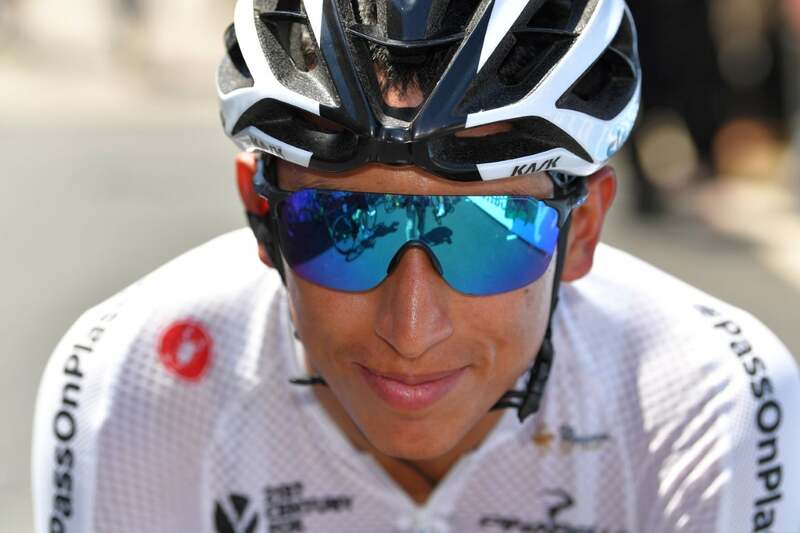 Sandwiched between two big days in the Pyrenees, ambitious riders will want to make their mark. 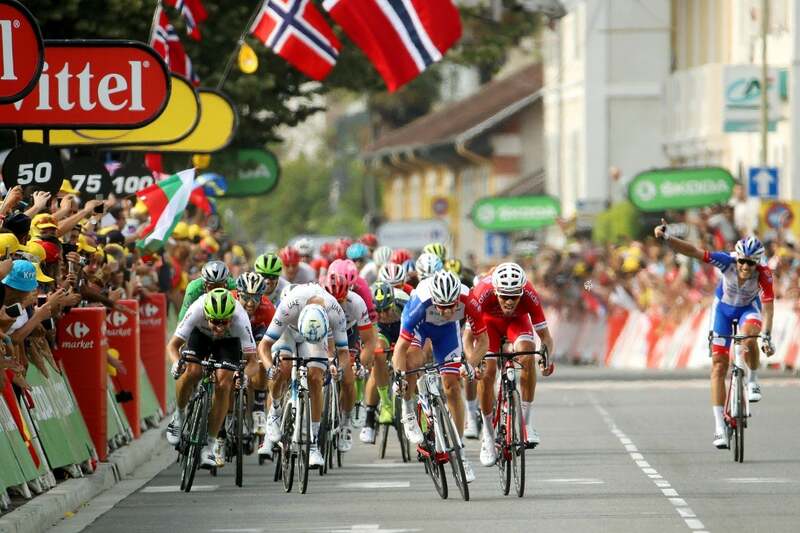 After surviving the Tour de France’s brutal mountain stages, Arnaud Démare — one of the few sprinters remaining — got his reward in stage 18, winning the sprint into Pau Thursday. Fellow Frenchman Christophe Laporte (Cofidis) was second to the FDJ rider. 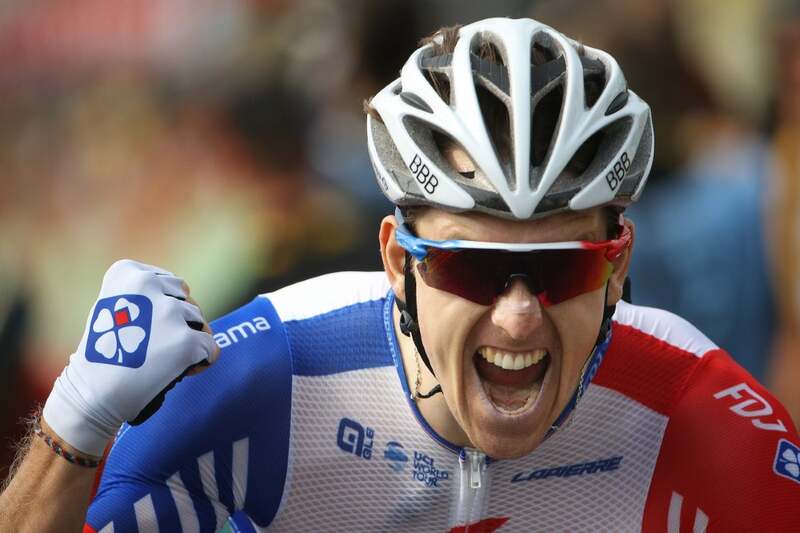 Alexander Kristoff (UAE Team Emirates) was third. 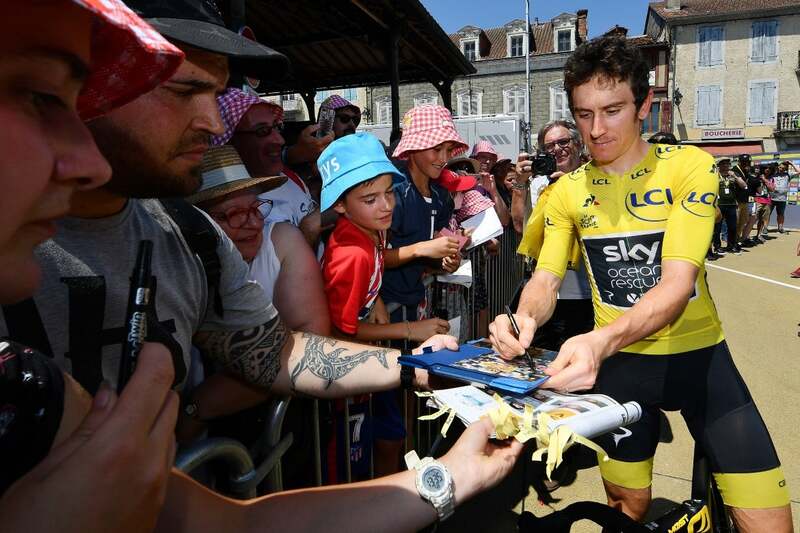 Sky’s Geraint Thomas finished safely in the field, keeping his GC lead over Tom Dumoulin (Sunweb) in second and his teammate Chris Froome in third overall. “I didn’t battle all this time for nothing, I didn’t give up in the mountains,” said a relieved Démare. 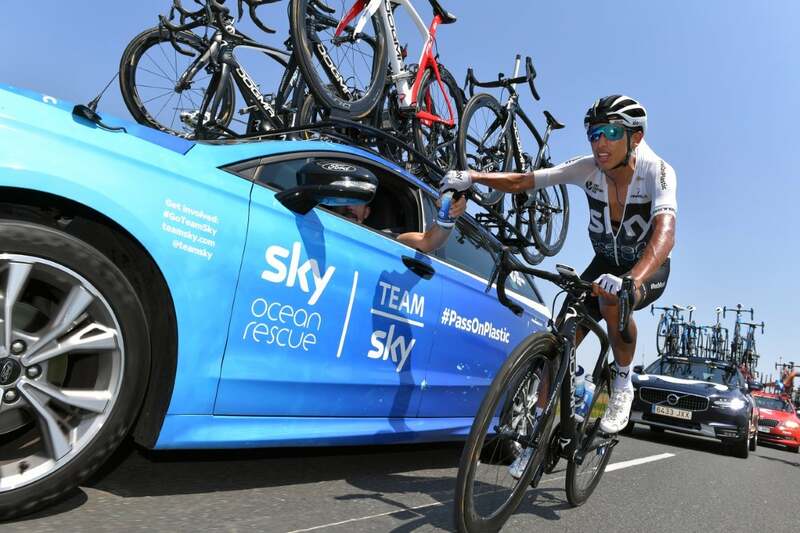 The Frenchman said he was also inspired by comments made by German rival André Greipel, who accused him of holding on to a car to make it through the mountains. 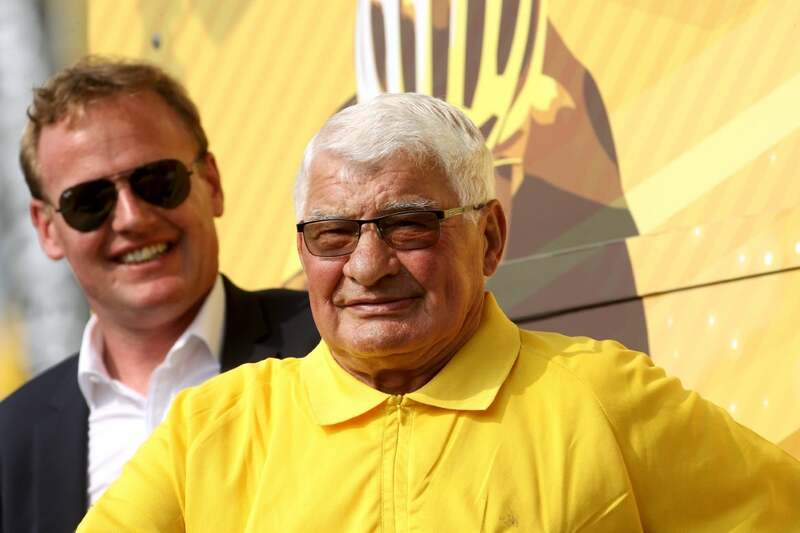 “I was thinking about Greipel,” he added. 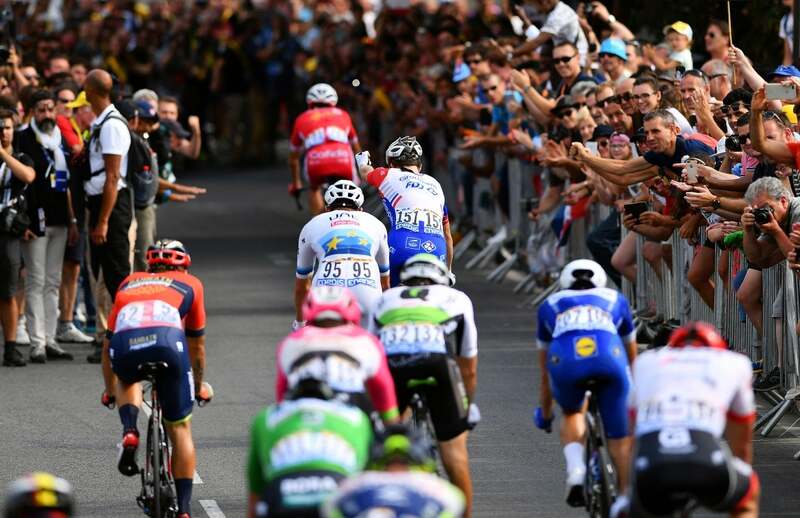 After Wednesday’s outrageously short and mountainous stage 17, the Tour caught its breath with a 171km race from Trie-Sur-Baise to Pau. There were two category 4 climbs along the way, but nothing hard enough to drop the sprinters. 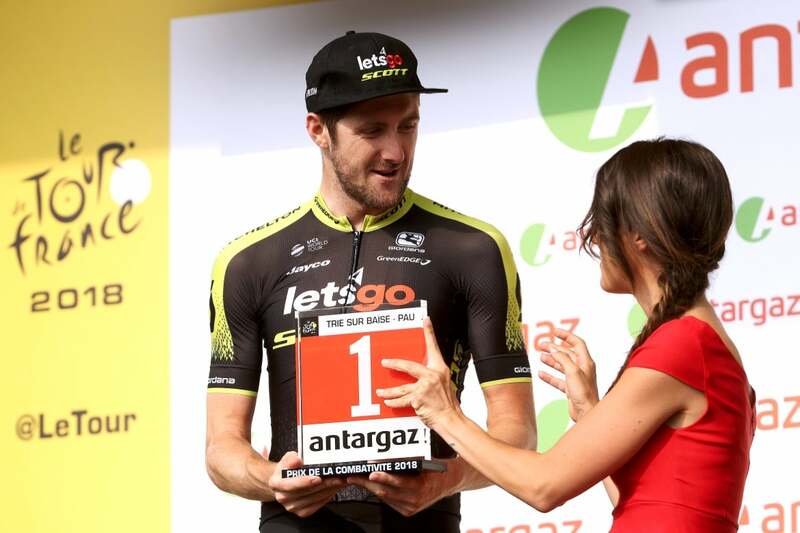 The stage was perfect for the fast men to vie for one more stage win before Friday’s Pyrenean stage and the time trial Saturday. 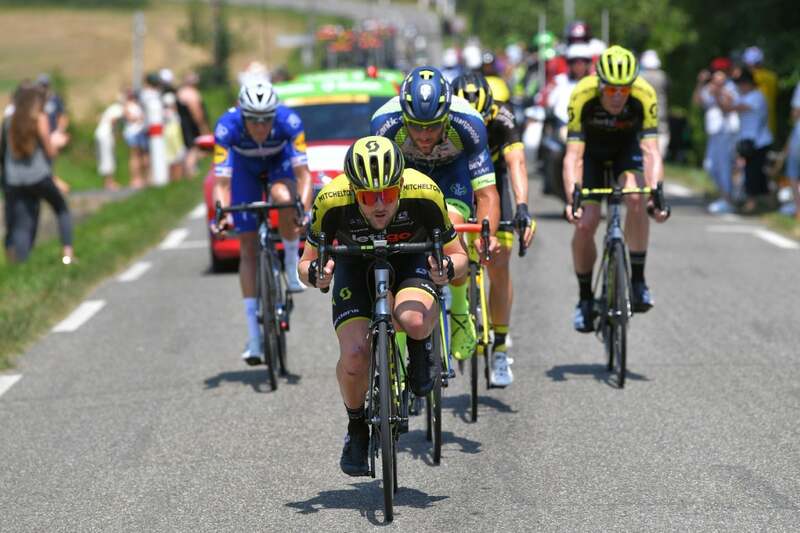 Nevertheless, a five-man breakaway tried to escape the peloton: Guillaume van Keirsbulck (Wanty-Groupe Gobert), Niki Terpstra (Quick-Step Floors), Thomas Boudat (Direct Energie), Luke Durbridge and Matthew Hayman (Mitchelton-Scott) were off the front all day. 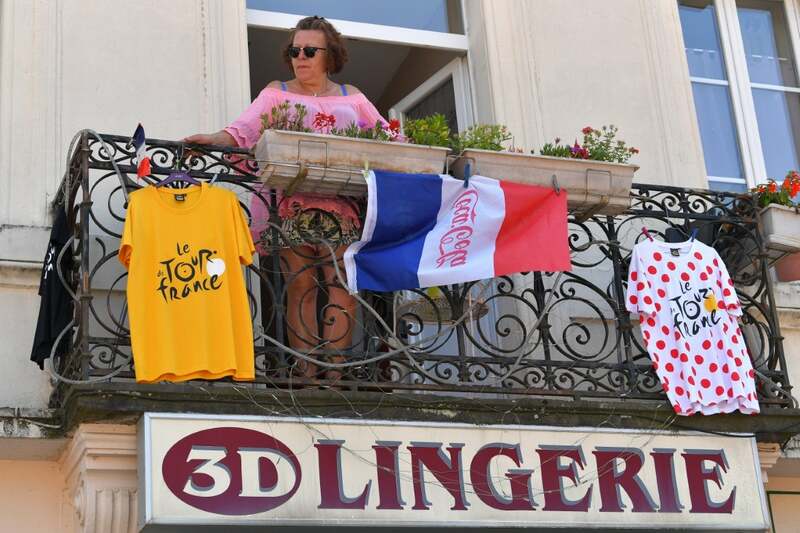 They were finally caught on the day’s last categorized climb, Cote d’Anos, a little less than 20 kilometers from the finish. 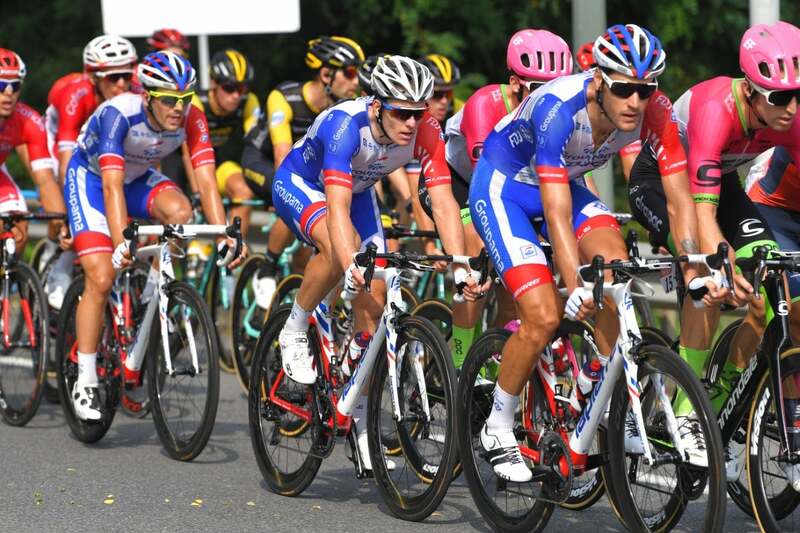 Démare’s FDJ team was particularly active in the final 10 kilometers into town. 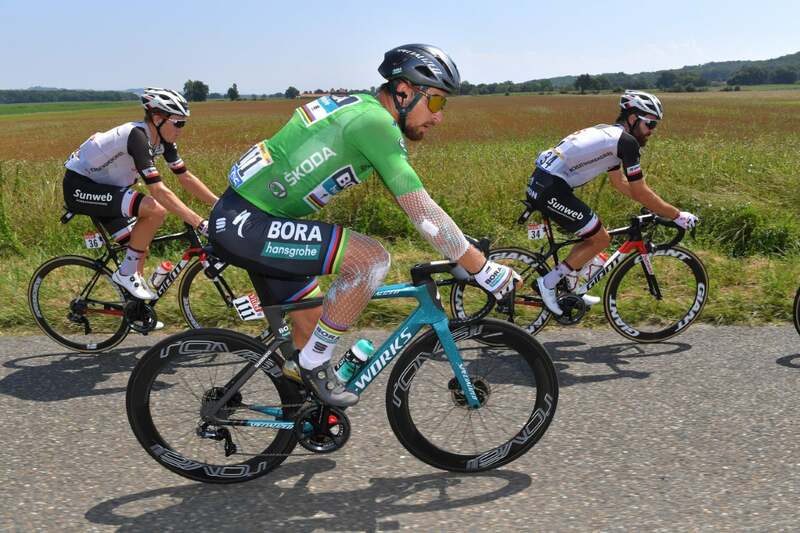 With around three kilometers left, Bora-Hansgrohe moved to the front for Peter Sagan. Maciej Bodnar put in a massive turn at the front, bringing the peloton to the last two kilometers. 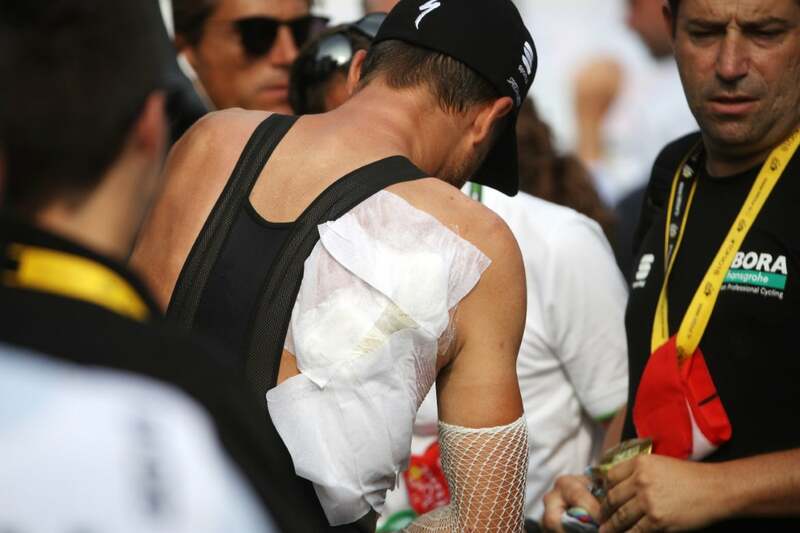 However, Sagan, bandaged and sore from a crash Wednesday was in no condition to contend for a win in Pau. 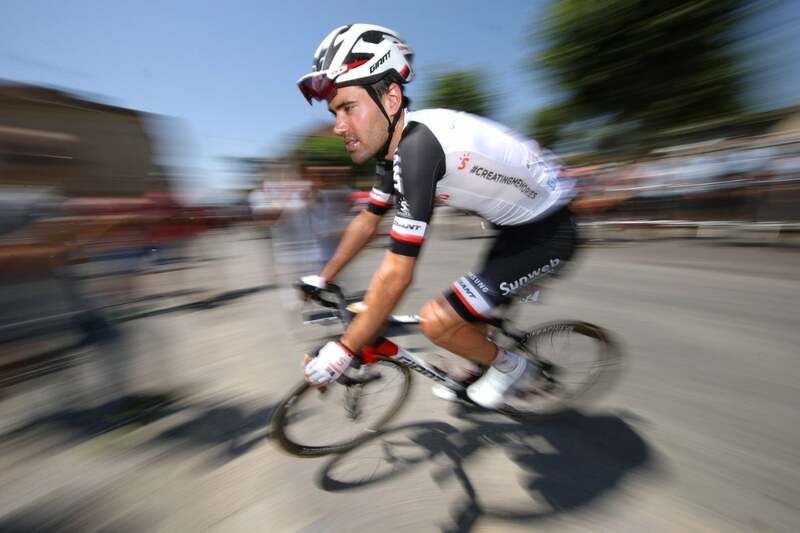 EF Education First-Drapac and Trek-Segafredo both had riders who made appearances at the front into the final two 90-degree left corners into the last kilometer. The timing was perfect for FDJ though. 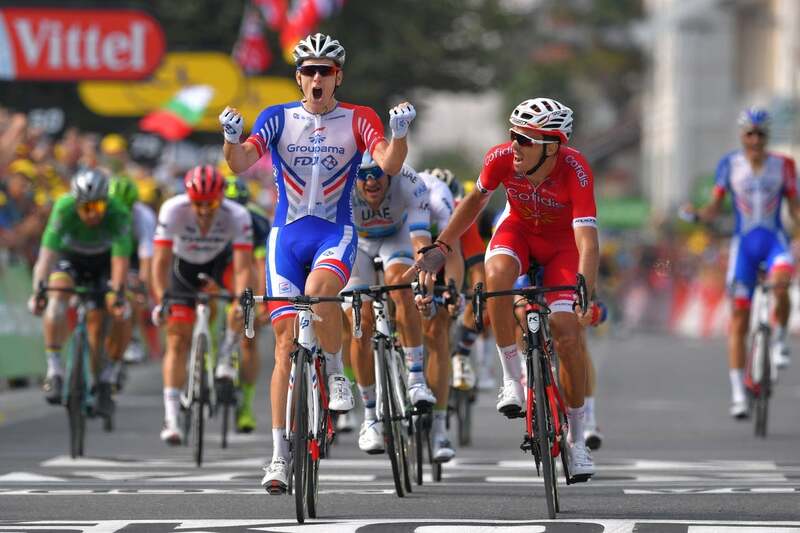 As the peloton sped into the final 500 meters, the French team’s red, white, and blue jersey was on the front. Démare was second wheel and had no difficulty winding up his race-winning sprint as his teammate Jacopo Guarnieri pulled aside. Kristoff jumped early, but he was coming from seven wheels back and didn’t stand a chance. Laporte charged up Démare’s left-hand side but didn’t have the closing speed to beat his fellow Frenchman. He protested a bit at the line, but Démare had hardly deviated from his line. 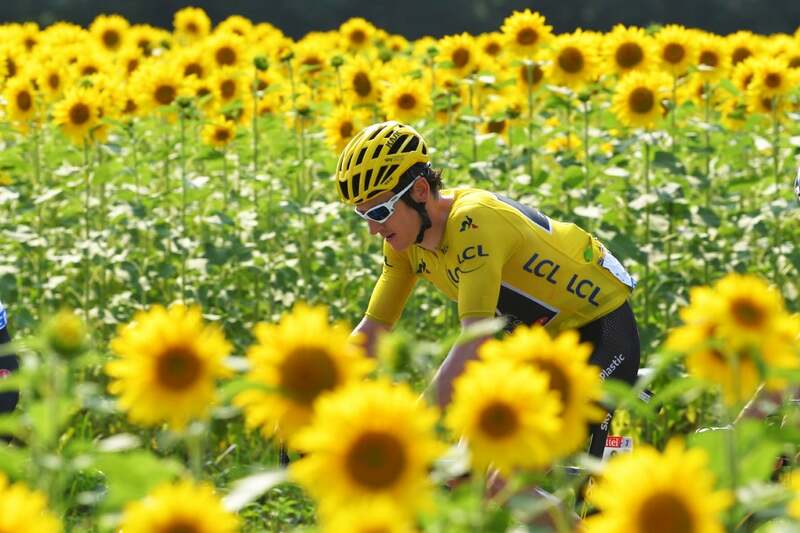 On Friday, the Tour will feature one final mountain stage from Lourdes to Laruns. With six categorized climbs on tap, the 200.5km stage 19 should be brutal, but it ends with a downhill off of the Col d’Aubsique.